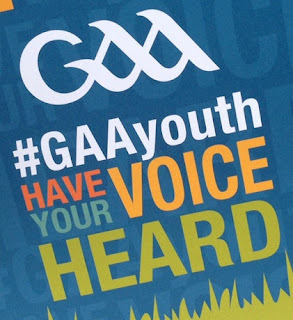 Oola GAA Club: GAAyouth Forum 2017 - Saturday 28th October - Apply Now! Are you a GAA player aged 12 – 21 years old? Would you like to improve your performance as a player? Would you like to learn how to balance the demands of study and sport? Would you like to get inside the minds of some of the top Inter-County players in the country? If so, apply to attend the FREE #GAAyouth Forum supported by Sky Sports! The #GAAyouth Forum is designed by young players, for young players. The Forum will be fun and informative with a mix of interactive exhibitions, workshops, high proﬁle speakers and a Q&A session. 12 - 15 (Junior Cert Cycle); 16 - 18 (Leaving Cert Cycle) and 19 - 21. Applications are limited to 4 players per club. Places are limited to 600. The online application process will close on Friday 6th October. or contact Tom Bourke on 086 1625977.